Home World Affairs US Senate confirms Colorado native David Bernhardt as Interior secretary. US Senate confirms Colorado native David Bernhardt as Interior secretary. The Republican-controlled upper chamber approved Bernhardt’s nomination in a 56-41 vote, with support from several Democrats who crossed party lines yesterday. Bernhardt, 49, was nominated by US President Donald Trump in February to replace Ryan Zinke, who resigned late last year amid ethics investigations. 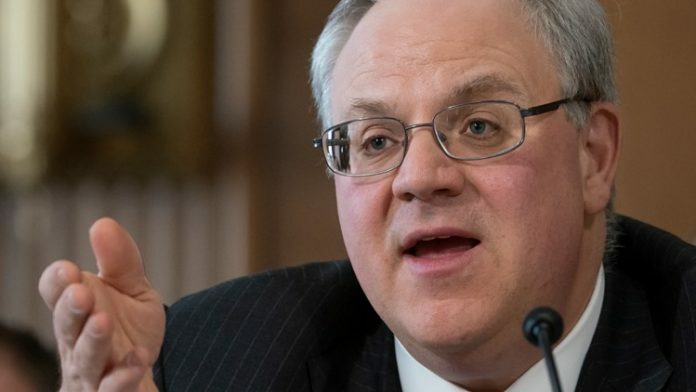 A former oil lobbyist, Bernhardt is expected to continue implementing the administration’s goal of boosting domestic fossil fuels production, by opening more US public lands to drilling and mining.